Mansfield Town have signed midfielder Timi Elšnik from Derby County. The 20-year-old has today (Friday 31st August) joined the Stags on loan for the rest of the season. The left-sided central midfielder previously played for David Flitcroft at Swindon Town during a loan spell from the Rams last season. Elšnik, a Slovenian youth international, made 26 appearances and scored five goals during that time. 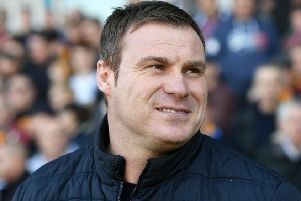 Mansfield Town boss Flitcroft said: “Timi is a player I worked very closely with at Swindon. “He is a midfielder with a high quality passing range, creative in his work and who has the ability to score goals from midfield.